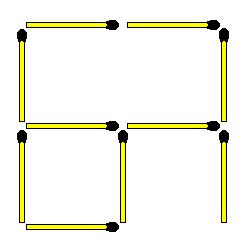 Move three matchsticks to correct the equation. 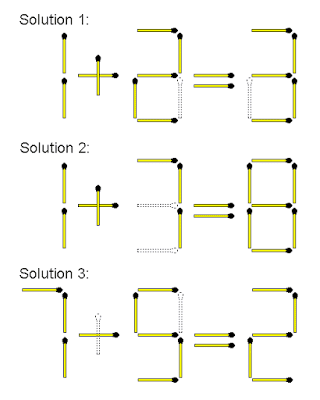 There's more than two solutions. 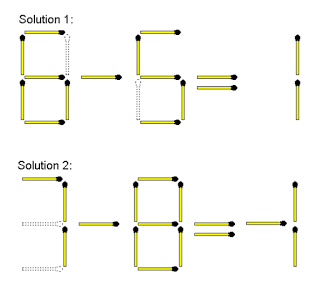 Move two matchsticks to make the equation true. 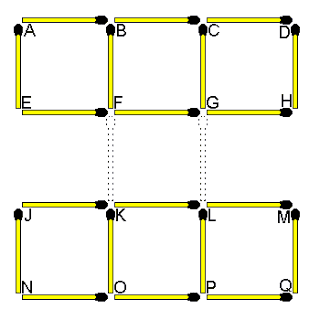 What is the relationship or link between the 4 figures below? 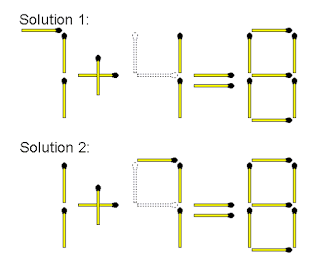 Move two matchsticks to make this equation correct. 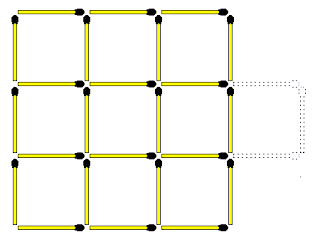 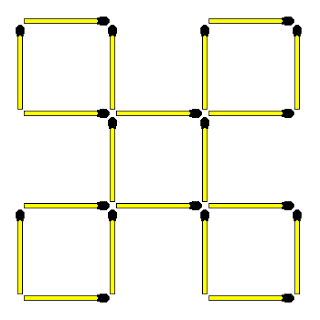 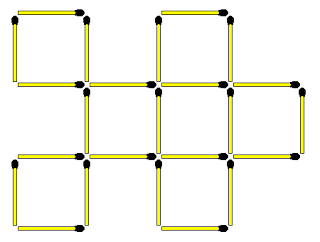 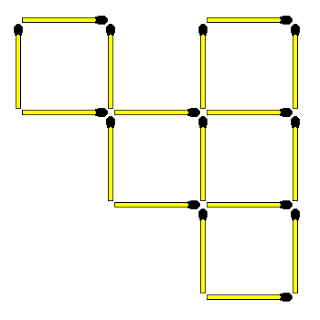 Take away only 1 matchstick to leave 4 equal squares. 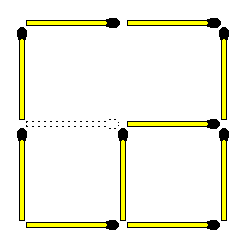 All the squares must be connected and all matchsticks must form part of a square. 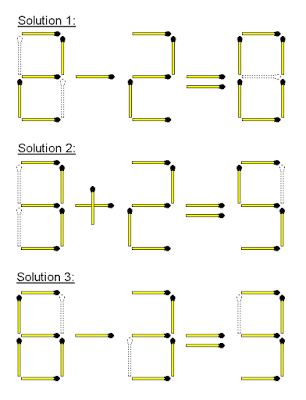 Which layout is the odd one out? 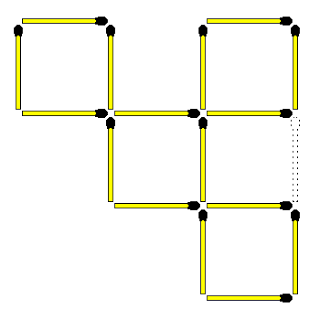 C is the odd one out. 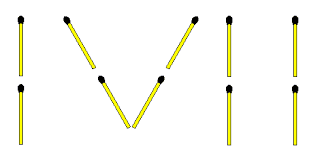 Adding 1 matchstick to any other layout forms a capital letter.